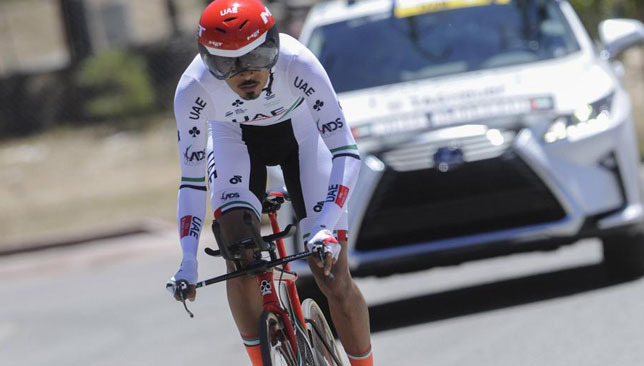 Yousif Mirza will be part of the final UAE Team Emirates selection for the UCI World Tour season as the UAE National Champion heads to China for the Tour of Guangxi from October 16-21. The Emirati superstar will provide support for team captain Fabio Aru, who is looking to end his season on a high and get his first win in UAE Team Emirates colours. Joining the two riders in Southern China will be team-mates Jan Polanc, Alexandr Riabushenko, Ben Swift, Matteo Bono and Oliviero Troia. Commenting ahead of the race Yousif Mirza said: “This has been the most remarkable season for me – my second as a professional cyclist. I retained my status as the UAE National Road Race and Individual Time Trial Champion, as well as winning the Asian Cycling Championship Road Race. The Tour of Guangxi made its debut on the UCI World Tour last year. The format and route is largely the same as last year, with the second stage being the only major change in that it will depart from the port region of Beihai and finish in Qinzhou. The tour will consist of three flat stages and three hilly stages, with the biggest test coming on Stage five – the Queens Stage. 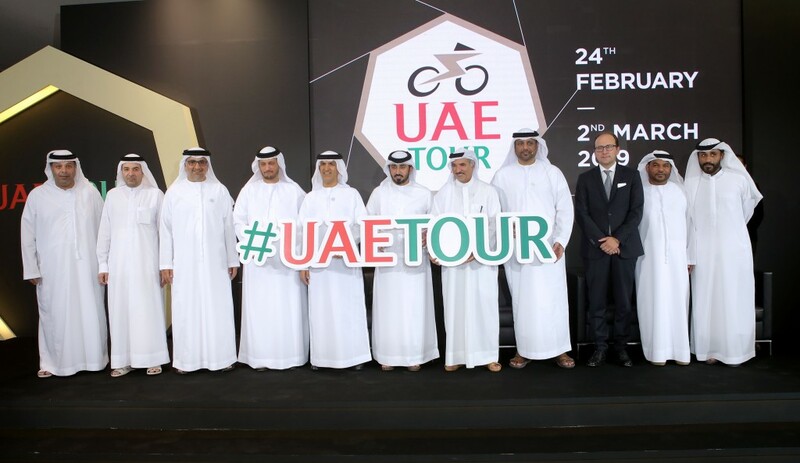 A change in format to the UAE’s cycling events has seen the launch of the new UAE Tour, which is set to take place in both Dubai and Abu Dhabi. As excitement builds, the new logo and trophy were unveiled to fans this week. Weighing a whopping 5.5kg, the new heptagonal prize is 24kt gold-plated and bears the names of all nine winners of both the Dubai and Abu Dhabi Tours on the back. 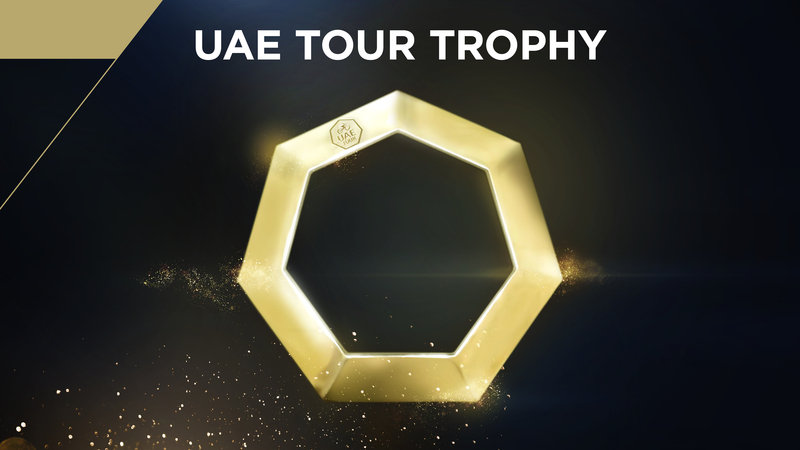 The new UAE Tour logo, which shows the Tour name written in red and green, is also heptagon-shaped in reference to the United Arab Emirates involved in the event; Abu Dhabi, Dubai, Sharjah, Ajman, Fujairah, Ras al-Khaimah, and Umm al-Quwain. Following the merger of the individual Dubai Tour and Abu Dhabi Tour, the new look challenge sees four stages included in both Emirates with the Dubai leg being held at the Al Qudra cycle path and around Hatta and the surroundings mountains of Hajar. In Abu Dhabi, the Jebel Hafeet stage is confirmed, while the second location, Al Hudayriat Island is new to the event. The UAE Tour is scheduled for 24 February to 2 March 2019. 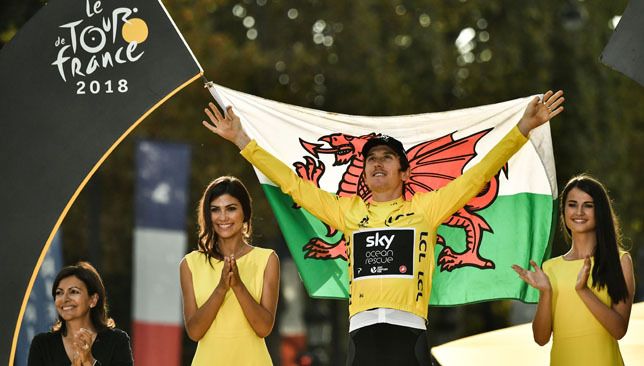 Geraint Thomas’ Tour de France trophy has been stolen after being displayed at the Cycle Show in Birmingham, Team Sky have said. Sky have been displaying all three Grand Tour trophies – which were won by Thomas and Chris Froome between September last year and July this – at various events across the country. Thomas said: “It is incredibly unfortunate that this has happened. It goes without saying that the trophy is of pretty limited value to whoever took it, but means a lot to me and to the team.